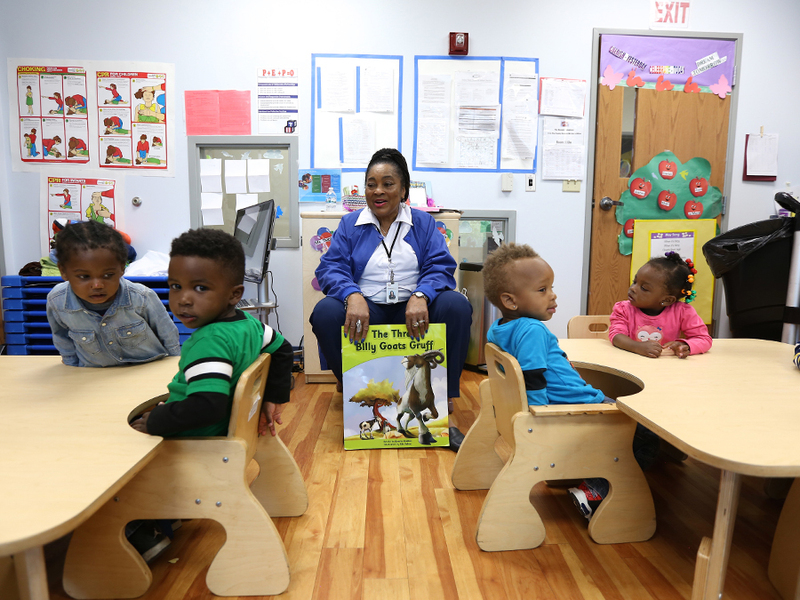 CINCINNATI — Going into Mary Lois Eddings' Early Head Start classroom is like walking into a warm embrace. Sunlight streams through the windows. The room is filled with plastic dinosaurs, toy trucks, baby dolls and dress-up clothes. A big rug on the floor has colors and pictures labeled in English and Spanish. Every toy, every book, every song is designed with learning in mind. That’s because Eddings knows these early preschool years will lay the educational foundation for the eight toddlers who call her "Ms. Lolo." "Graduation starts with Head Start," Eddings said. "We make good things happen." And not just for the children. RELATED: Where does Cincy's poverty rate rank in Ohio? Head Start and Early Head Start teachers at the Cincinnati-Hamilton County Community Action Agency , or CAA, also help connect students' parents to resources that make their whole families stronger. Roughly 90 percent of the agency's young students come from families who live at or below the federal poverty threshold. Some families need help signing up for food stamps, getting assistance to pay their heating bills or finding a temporary place to live as they transition from homelessness to self-sufficiency. 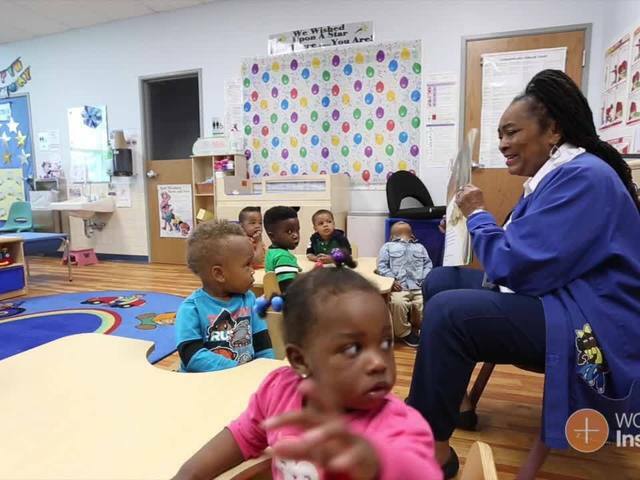 "We have this philosophy that if we have your child for two years, you have two years to change your life, too," said Gwen Robinson-Benning, CAA's longtime president and CEO. "We can't teach them if they're hungry or homeless. The whole agency is trained in that." That puts teachers such as Eddings on the front lines of fighting Cincinnati's child poverty problem. And CAA needs more soldiers for the fight. Right now, the agency has four openings for teacher assistants. CAA employs 60 teachers and 10 home school educators for the Head Start and Early Head Start programs that it operates. 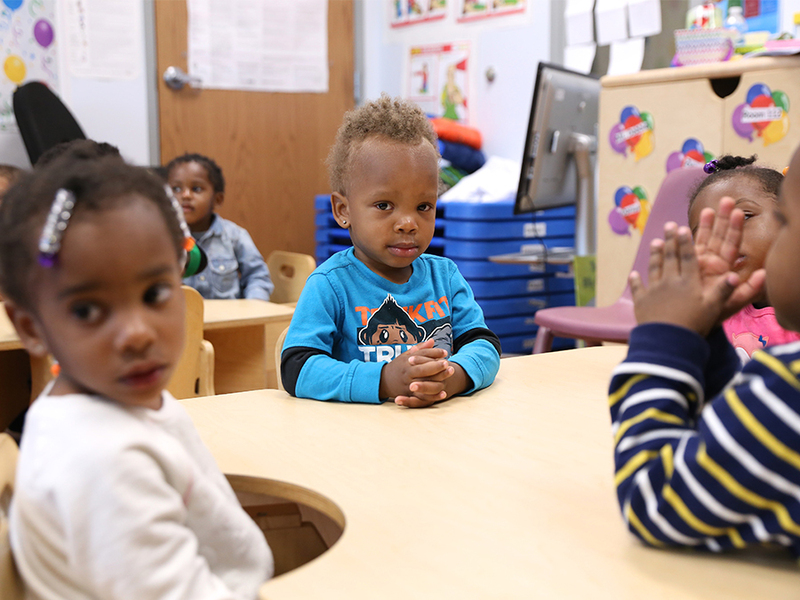 Those programs directly serve 487 Head Start students and 171 Early Head Start children. The agency also funds the education of another 1,157 Head Start students and an additional 81 Early Head Start children who attend classes at Cincinnati Public Schools and the YMCA, among other locations. The program doesn't reach every Hamilton County family living in poverty, by a long shot. But it's a start. Preschool students in Eddings' class wait for their lunch on Monday, May 16, 2016. Emily Maxwell | WCPO. Helping families make the connections they need has been part of what has kept Eddings working for Head Start for more than 40 years. You wouldn’t know it to look at her, but Ms. Lolo is 77 years old. She started working for Head Start in the late 1960s and has held all kind of administrative roles over the years. She went back to being a toddler teacher because she said she figured, "I can do this on my way out the door." "I'm thinking about retirement soon," Eddings said. "Maybe next year I will retire." But Eddings isn't sure. At this point, she has taught children of some of her former students, she said, and it's difficult to think about leaving her work. "I have families come back to me and say, 'Ms. Lois, this is my child. I was in your class, and I want them in your class.'" She remembers the former student who is now a nurse and so many others who have come back to thank her for the love she showed them. "I feel like I'm giving back to the community," she said. "My mission is to be here to serve our families — the mothers, the fathers, the grandparents — and to embrace them with the knowledge that they can go on to be whatever they want to be." Seeing the positive impact she can have on the students she calls her "babies" — and their families — is all the reward Eddings has ever needed. But that isn't enough for everyone. Working with families living in poverty can be difficult. And some Head Start teachers leave CAA for the better pay and less demanding work that private preschools, daycare centers and kindergartens offer. Robinson-Benning wants to spread the word that CAA needs caring, qualified teachers for its Head Start and Early Head Start programs. "If you want to break the cycle of poverty, if you want to break generational poverty, if you want to preserve our future, we have to start early," she said. "We need teachers who have the capability of understanding not only how children learn but also how to engage the parents in that learning process." Parents can feel the difference. Latifa Wabbington is a mother of five who lives in Bond Hill near CAA's main office. Four of them attend Head Start and Early Head Start classes at CAA. 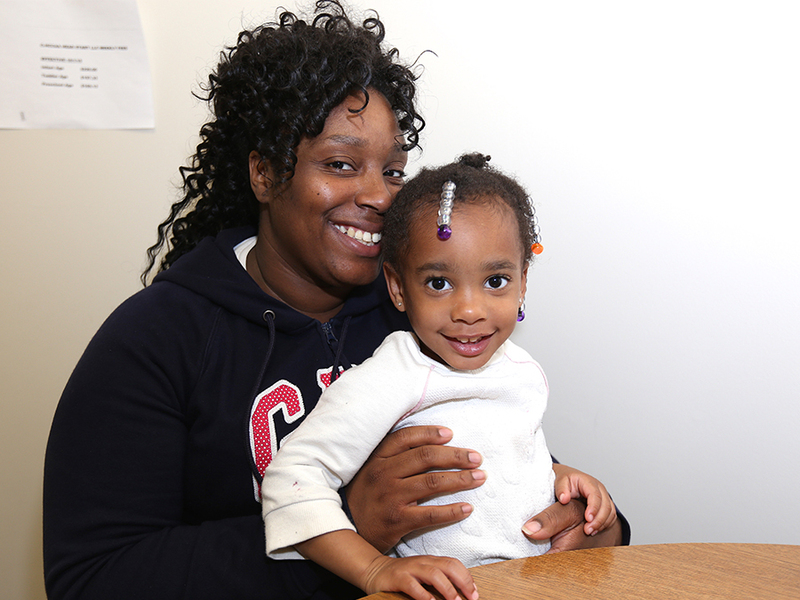 One of her daughters, 2-year-old Belana, has Ms. Lois this year. "Their teachers just really love them," Wabbington said. "It's almost like a second mom scenario." Wabbington works two jobs, and the only other service she has used from CAA was a program to show her some healthy, quick recipes for her family. But she appreciates that the Head Start teachers are always willing to help the parents who need it. "They're very approachable," she said. "They don't make people feel ashamed or less than." That's partly because the teachers have been there. Eddings herself started out as a Head Start parent volunteer before she began working for the program. In fact, 30 percent of CAA's staff members were once parents of Head Start students who got their teaching certifications and then came back to work for the agency, Robinson-Benning said. That says a lot — both about the value those parents place on the agency and the program's impact to change lives. For more information about the Cincinnati-Hamilton County Community Action Agency, click here .